Spend some time in paradise! Relax in a comfortable Laz Boy Recliner overlooking the Gulf. Enjoy breakfast while watching the dolphins play. Come see picturesque sunsets that seem surreal. Newly remodeled beach front two story condo offers an awesome full gulf view with private terrace. This one bedroom, KING size bed(amazing mattress), one bath condo, has a fully equipped kitchen (cherry wood cabinets, granite countertops, stainless steel appliances)2 flat screen TV's (1 TV in Bedroom & 1 in Living room 42') with DVD. There is also an extremely comfortable Murphy bed (queen size) in a cherry wood cabinetry along with a pull out sofa. Fresh towels and maid service daily. For convenience a washer/dryer is located in your condo. Free Wireless Internet, Free Business Center located in the office for guests only during office hours 9AM-4:30PM. Beautiful heated pool equipped with comfortable lounge chairs, umbrella and Weber grill all offering the full gulf view for you to enjoy. A wonderful place to sit back, relax and enjoy the natural beauty of Longboat Key. Beautiful view of the gulf, end unit with many windows. Private Balcony on Side of end unit with Gulf View. Awesome location and a nice condo. The owner was very accommodating and great to work with. Would definitely stay again. We had a lovely time. Everything we needed was there. We hardly even wanted to go out to dinner because just the view made us not want to leave. So relaxed we didn’t want to bother with dressing, driving etc. long walks, Yoga, card games, reading, and of course happy hour sunsets made up our whole week. We actually used the Wall bed for sleeping so that we could hear the surf all night long. Housekeeping service was great. Would recommend this place! Thank you for choosing our condo and posting your review. It’s always nice to hear that our guests enjoyed themselves. We appreciate that you elaborated on your experience, it lets future guests get another perspective of what to expect when they visit. Your review of our condo expressed the way we feel when there, we don’t want to leave the beach or the complex. Thanks again for taking the time to write such a thorough review. We hope that someday you can come back and visit again. Enjoyed our stay in Condo Had a problem with door lock, but Bobi was very helpful in getting it taken care of. All of the staff very accommodating. The only down side was the terrible problem on one of the condo balconies deteriorating, and the cover up of plastic on another condo. Pretty unsightly to look at when sittiñg pool side. Glad you enjoyed your stay. I am so sorry that the Red tide was bad. I am happy that you were pleased with the condo management company. We are very fortunate to have such wonderful people caring for our condo. The other balconies should be repaired shortly. So sorry that the workmen have left them in an unsightly manner. Wishing you and your family a happy holiday season and a healthy New Year. Great location. Easy to work with owner. Would stay again! Yes. Perfect. Clean, quiet, safe. We would definitely stay again. It was a pleasure having you as our guest. I am so glad you enjoyed your vacation. It is a wonderful quiet and beautiful spot. The water and views breathtaking. The pool is immaculat. 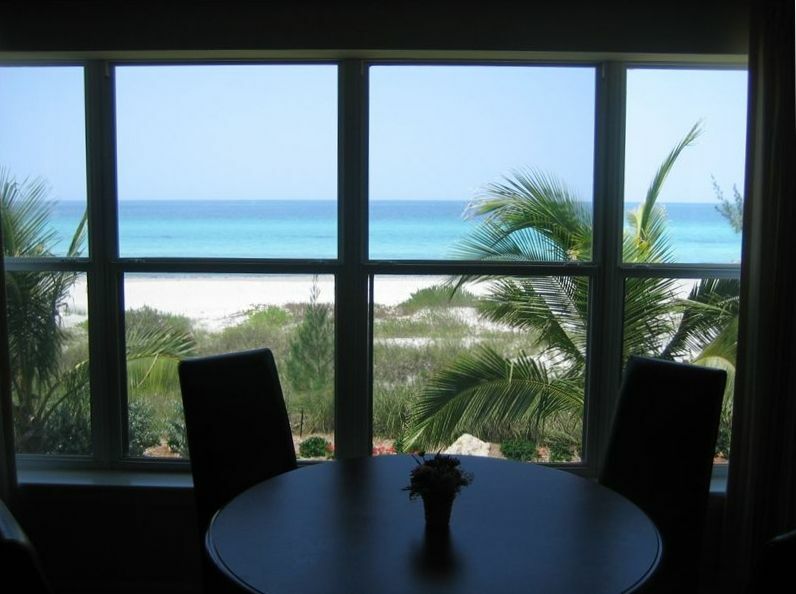 I am glad you enjoyed your stay in our condo unit 227 at The Beach on Longboat Key. Basketball at bay front park just a couple of blocks away. Excellent golf courses nearby. Deposit will be lost if cancelled two weeks before rental.